Most seasoned poker players know right off what a bad-beat jackpot is but for those of you that don’t, a bad-beat jackpot is a prize that is paid when a strong poker hand is shown down or played but is subsequently beaten by another stronger hand held by another player at the table. The bad-beat jackpot is not offered in all poker games but for those instances where it is offered, there are usually specific requirements for how strong a player’s hand must be. A few examples of winning bad-beat hands are: quads over full house, small full house vs. bigger full house, quads over quads, strait flush over quads, and so on. A bad-beat bet is often disputed among players since there is no universal agreement to what consists in a bad-beat jackpot. 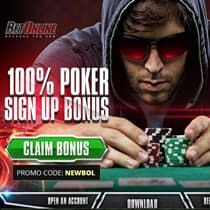 Bad beat jackpots and promotions are offered at reputable brick and mortar poker rooms as well as legally sanctioned Vegas online poker sites. Red Rock Resort and Casino in Las Vegas is now dealing with a bad-beat situation. Players Avi Shamir (83) and Len Schreter were playing June 7th of 2017 when Avi lost his hand of a strait flush to Len who held a higher card strait flush. The bad-beat jackpot was at $120,000 when the incident occurred. 80 players who were playing at the Red Rock poker room and their sister casinos were also eligible for a payout in the deal. Unfortunately, Len Schreter turned his cards over before the hand was over, although all the cards were already dealt, and it did not affect the outcome, the Red Rock casino claimed his mistake invalidated the jackpot according to their house rules. Avi Shamir stood to win $60,000, while Len Schreter was under the impression that he won $30,000 in the deal. The other 80 players involved would have won about $565 a piece, if the jackpot wasn’t invalidated. Since Red Rock Resort and Casino refused to pay the jackpot, both players filed a complaint with the Nevada Gaming Control Board. However, Schreter later withdrew his complaint. This past Thursday, January 11th, 2018, the Gaming Board returned the dispute back to the hearing officer since some members still had some lingering questions. Terry Johnson is one of those members on the Gaming Board and stated that he doesn’t feel like he has enough information to make a decision on the matter as of now. He cited three reasons why the Gaming Board decided to send the claim back to the hearing officer. He has questions about why Schreter withdrew his complaint. He wants the hearing officer to review and clarify materials submitted in the case. He also requests clarification to what rules were used to reach the determination from the hearing officer. 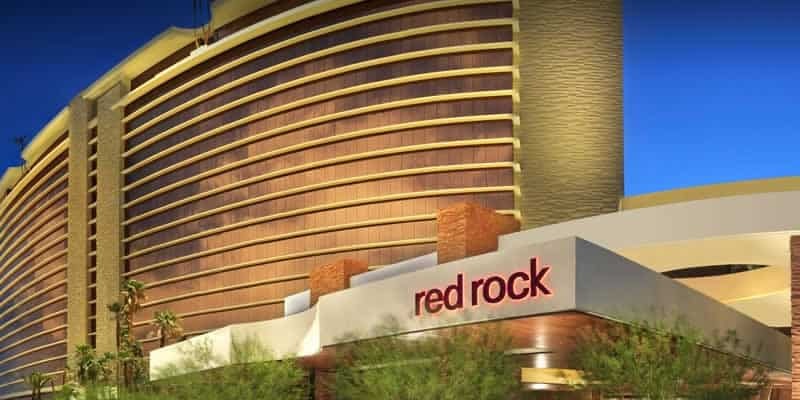 Johnson said it is important to get that information clarified in case Red Rock casino wants to appeal the decision to Clark County District Court. Avi Shamir and Len Schreter are both locals in the Vegas area now and have both been present in most of the case hearings. Len Schreter withdrew his complaint at the Dec 11th hearing and stated that he felt sorry for his mistake that cost his opponent 60k. Avi Shamir attended the most recent hearing and was said to have shown no reaction to the decision. As of now a new hearing has yet to be scheduled. In the meantime, Red Rock Resort and Casino is dealing with a public relations nightmare. The first investigator on the scene for the Gaming Board reviewed the case and determined that the players should be paid. In Red Rocks defense, their casino operator has a rule that if players discuss their hands during the game play then that action could potentially void any jackpot. That is the reason why the casino operator initially refused to pay. Len Schreter has recently claimed that his mistake has hurt Avi Shamir financially, while giving him a bad reputation and emotional distress. As of now it is unclear how this bad-beat situation will turn out but in the public’s eye it looks like Red Rock Resort and Casino just doesn’t want to pay up. What players find most upsetting is that the bad-beat jackpot money is funded by poker players and the house doesn’t get a cut, so them withholding the jackpot over a mistake that had no effect on the game is leaving a bad-beet taste in their customers mouths.